Little is known of the Trefarclawdd group of pits which numbered about six on either side of the Oswestry/Trefonen Road. These pits were dug about 1780to 1790. During the early years they were known as Sir Watkins Collieries and it certainly appears that the Sir Watkin of that day was intimately associated with the enterprise. The Oswestry Parish Registers contain reference to the death in 1792 of "John Leach, steward at Sir Watkins Collieries" while in 1801 during the corn scarcity, Sir Watkin supplied for nearly 12 months to his colliers at Trefarclawdd and Llwynymaen, grain at a reduced price. The pits were abandoned during the 1830,s apparently owing to failure in coping with water. It is recorded when the National Loan for combating Napolean was raised in 1798, 70 colliers from the Trefarclwydd Colliery raised £2.14s.6d and 140 colliers from Llwynymaen Colliery raised £4.0s.6d. 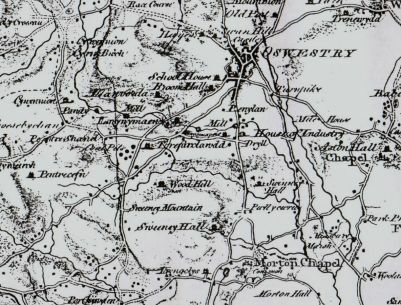 Late 1700 map of the Oswestry area showing the coal pits on the Welsh side of the Trefonen Road at Trefarclawdd. 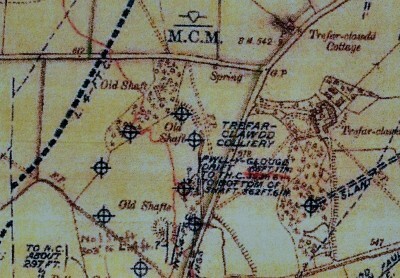 Geological Survey map of 1918 showing the coal mines in the Trefarclawdd area. 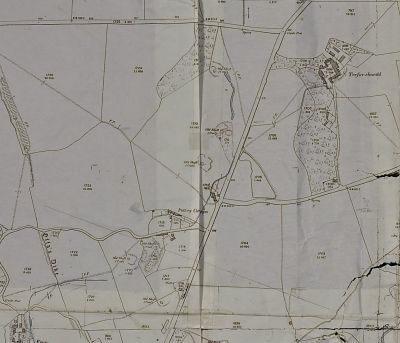 This map shows 8 pits in the field to the west of the Oswestry/Trefonen Road and 1 pit in the woodland to the south of Trefarclawdd House (It is believed that there is probably more than 1 pit in this woodland as these pits date back to the 18th Century). 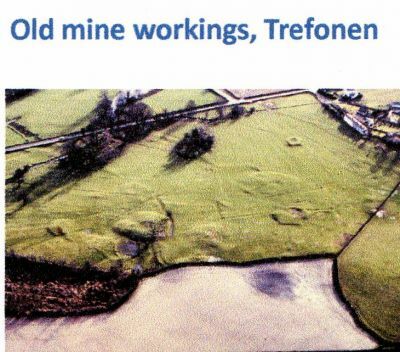 Modern day aeriel photo of the old coal workings opposite Trefarclawdd pool. 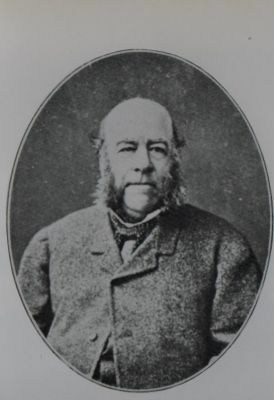 Photo of Sir Watkin Wiiliams Wynne, date unknown.